If you’re looking to trade-in your vehicle but wondering, “What’s my car worth?, Jay Wolfe Toyota of West County in Ballwin can help! With the assistance of our secure online trade-in form, you can get your car’s trade in value right from the comfort of your own home. To get started, all we need is some information about your vehicle, such as the vehicle identification number (VIN), year, make, model, trim level, and current mileage of the car to provide a more accurate appraisal. Once you have your vehicle’s information filled out, just tell us the best way to reach you and we’ll contact you as soon as possible with your virtual estimate. After discovering your vehicle’s trade-in value, visit our Toyota dealership to find your next new or used car, truck, or SUV; we have a wide selection of quality vehicles that are sure to fit all types of drivers from in and around Ballwin, Ellisville, Town and County, Des Peres, and beyond! Trading in your car is just one great way to save money on you next new-to-you ride, our new Toyota offers and current used car specials offer Ballwin area auto shoppers even more ways to save. 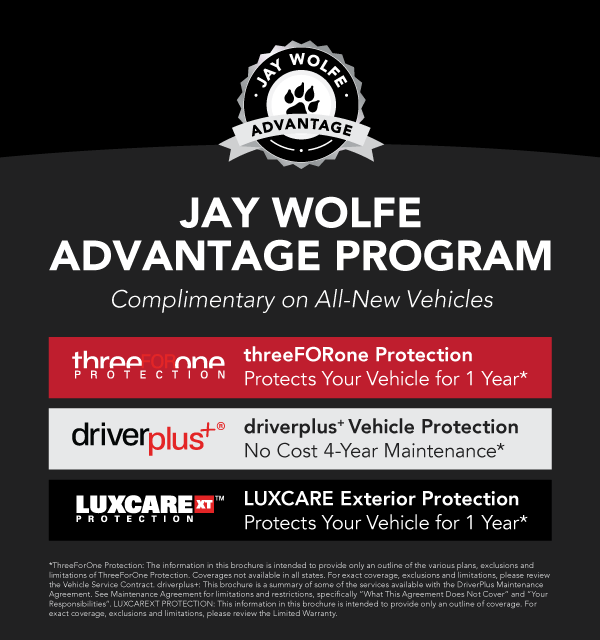 Contact us today to learn more about trade-in appraisals at Jay Wolfe Toyota of West County or if you are ready to swap your old ride for something newer. We are here to help.